The search for information on the Mid Argyll Dargie family has yielded a wealth of information. As reported in the August 31 edition of the Argyllshire Advertiser, a family from New Zealand has been looking to re-connect with long-lost family in Scotland. Thomas Hamilton Dargie, a farm worker at Barsloisnach on Poltalloch Estate, emigrated to New Zealand in the 1920s or 30s. After he moved to the Land of the Long White Cloud he never reconnected with any of his family. His son Grant, leading the search, said: ‘In 1977, I did a similar search but lost contact with the family over time. We wanted to try to connect with any possible relatives who may still reside in that area. Grant’s youngest brother, another Thomas Hamilton Dargie, was in Adrishaig a few weeks back searching for any family connections. Last week’s appeal prompted a number of readers to get in touch. A reader from Lochgilphead, Helen Shaw, called to say she is a niece of Thomas Dargie, or ‘Uncle Tam’. She recalled that two Dargie sisters married two Paterson brothers, with her own mother being Helen Dargie. Alasdair McVean from Kilmartin called in with our featured photo which includes Jimmy Dargie, brother of Thomas and son of James Dargie, farm manager for the Malcolm family and also an auctioneer in Lochgilphead with Thomas Corson. Thomas’ brother Jimmy, said Alasdair, was later manager at a transport firm on Bishopton Road in Lochgilphead. These snippets of information will be passed on to Grant Dargie and we trust they prove helpful in his search for long-lost family. 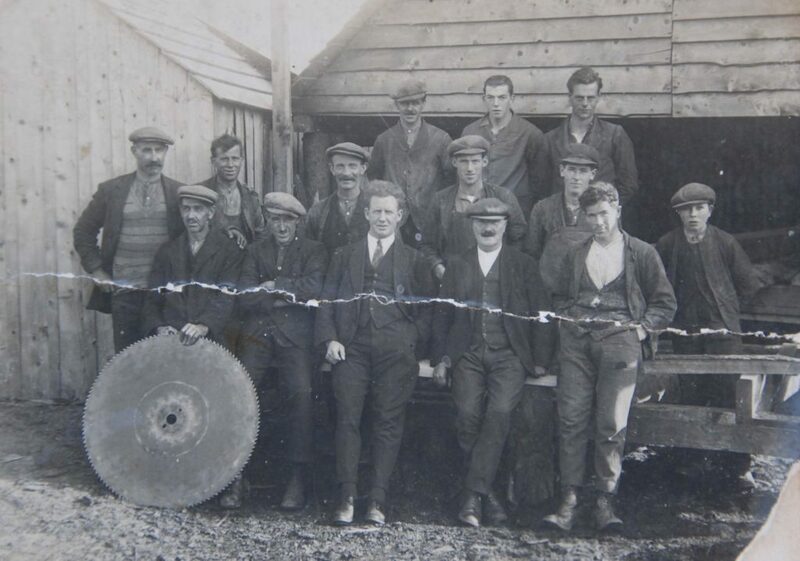 Information on the back of Alasdair McVean’s sawmill photograph, featured above, tells us that it was taken in the 1920s at Balliemore Wood, Kilmichael. On the top row are, from left: J Adams, J Dargie and J Higgins. Middle: J MacVean, J Rettie, J Robertson, J Taylor, D Campbell and A MacDonald. Front: F Ewan, A Stewart, Bob Gauld, ? MacPherson and W Breck.